This bundle currently contains NINE solving systems of equations activities. Get all of them now for the lowest price!Any activity that I add to my store that has to do with systems of equations, will go in this bundle and you can re-download to get the newest activities for free! In this connect 4 game, students will practice solving systems of equations using elimination. Please look at the preview to see all of the problems to make sure that the types of problems are the right level for your students! Interested to see how the connect 4 game works or is laid out? 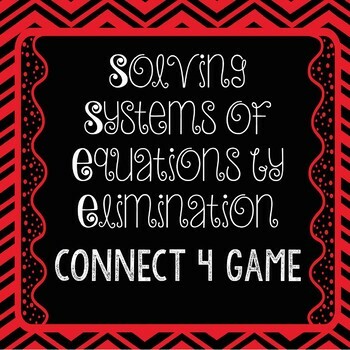 Check out my free Connect 4 download on One Step Equations here. 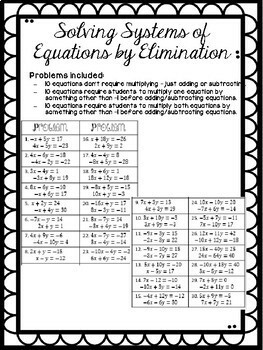 Or grab all of my Systems of Equations Activities in one money saving bundle!